@SNFonNBCMichael Jordan sounds hyped for next week’s ‘Sunday Night Football’ matchup between the Packers and Patriots. 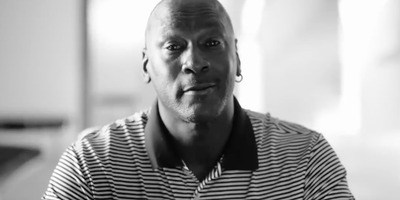 Michael Jordan teased a matchup with LeBron James in a promo for the Week 9 “Sunday Night Football” game. James responded to Jordan’s challenge on Twitter, jokingly accepting his one-on-one invitation. The promo was actually for the upcoming game between the Patriots and Packers, which will pit Tom Brady against Aaron Rodgers for just the second time in their careers. Michael Jordan is ready for the debate to be settled – who is the GOAT, the greatest of all time? Unfortunately for basketball fans, Jordan’s words weren’t an announcement of a game of one-on-one against LeBron James, but rather part of a promo for next week’s “Sunday Night Football” matchup between the New England Patriots and Green Bay Packers. That game will be just the second time Tom Brady and Aaron Rodgers have ever faced off against each other. While “Sunday Night Football” was the real focus of the promo, James took note of the semi-challenge, jokingly accepting MJ’s pitch on Twitter. While the “GOAT” debate between Jordan and James will rage on into eternity, next Sunday will give football fans a head-to-head matchup between the two guys that dominate the current quarterback debate. In their first meeting, Rodgers bested Brady, with the Packers winning 26-21 at Lambeau Field in 2014. Rodgers threw for 368 yards to Brady’s 245, with both players tossing two touchdowns. As for Jordan, maybe the best we can hope for is a cameo in James’ upcoming “Space Jam” sequel.